My daughter’s and I were so excited to receive our foodie friend’s new cookbook, Recipes For Busy Moms – The Magical Slow Cooker by Sarah Olson. My youngest daughter became friends with Sarah through Facebook and we all recently met for the first time at the International Food Bloggers Conference in Seattle this past fall. Sarah is a gracious lady and gifted cook. As conference alumni, she showed us the ropes and we had the best time tasting all the wonderful food samples! We could not wait to look over all of Sarah’s slow cooker recipes and beautiful photos. Each recipe provides easy to follow instructions with tempting food photography on every page. 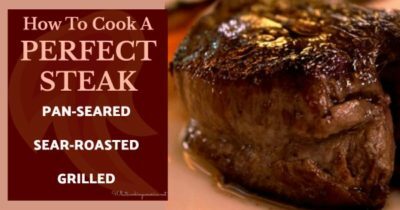 At the beginning of the cookbook we found valuable slow cooker tips including ideas to help you prep your meal the night before cooking. The back of the cookbook even provides helpful cooking and metric measurement equivalents. It is a cookbook junkie’s delight to read through the recipes and salivate over each dish. * Can substitute water to reduce sodium. ** Melted butter may be substituted. *** If unable to find fresh herbs, substitute 1 tablespoon of dried basil or oregano. Preheat slow cooker on high heat. In a medium-sized bowl, mix together olive oil, garlic, and parley. Drizzle oil mixture over the potatoes and lightly toss until potatoes are evenly coated. Salt and pepper to taste. Serve potatoes immediately. If it is needed to transport the cooked potatoes to a party, cover with lid to keep warm. 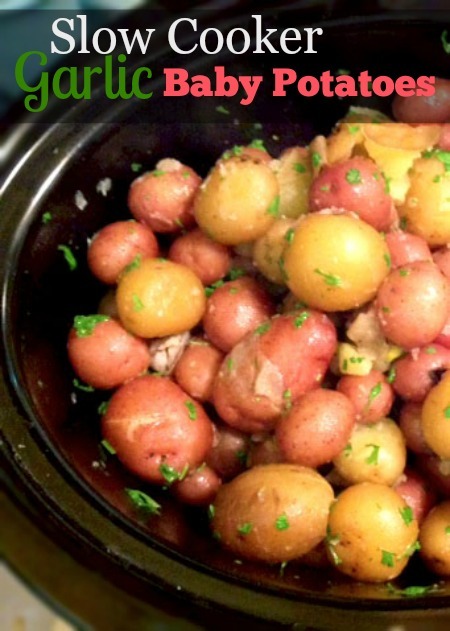 Heat potatoes on warm heat setting on slow cooker or until ready to serve. If I cut the potatoes in quarters will they be saggy cooking in the broth?